Those words bring instant recognition to most of us. The line was spoken by Police Chief Martin Brody, played by Roy Scheider, in the classic 1975 movie Jaws. The film, based on the Peter Benchley novel of the same name, was a huge hit and made everyone think twice about swimming in the ocean. I was ten years old when I saw the movie and was hooked. I read everything I could about great white sharks. My fears about entering the waters of the Gulf of Mexico eased as I learned that white sharks didn't inhabit our region. These predators preferred cooler waters and lurked in exotic places like the Great Barrier Reef of Australia, the coasts of South Africa, and the surf of northern California. 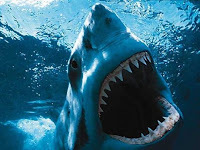 No great whites prowled anywhere near the Texas coast. Right? "For the allowable shark species, the bag limit will remain one shark per person per day, with a two-shark possession limit. In addition, a prohibited list (zero bag limit) will be established for the following 21 species: Atlantic angel, Basking, Bigeye sand tiger, Bigeye sixgill, Bigeye thresher, Bignose,Caribbean reef, Caribbean sharpnose, Dusky, Galapogos, Longfin mako, Narrowtooth, Night, Sandbar, Sand tiger, Sevengill, Silky, Sixgill, Smalltail, Whale, and White." Satellite technology has helped dispel many of the myths regarding these awesome fish. 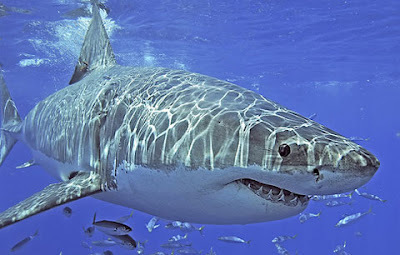 It was long thought that white sharks spent their entire lives patrolling the same coastal areas. Tracking studies have now shown that is not always the case. In fact, scientists have discovered that whites spend much of the year in the open ocean and dive to depths of up to 2,000 feet. Some of these wide-ranging individuals occasionally make their way to the coasts of the states bordering the Gulf of Mexico. Sightings in the Gulf, though rare, are not unheard of by any means. The Tampa Bay area of Florida seems to be a spot where the great white is seen from time to time. On January 23, 1994 a 15.5-foot white shark was caught 23 miles west of Indian Rocks Beach. The monster shark was estimated to weigh 2,200 pounds. Bob Spaeth, a Madeira Beach seafood dealer, who has worked with the commercial long-line fishing industry for years, has had several encounters. He said, " They will come up and eat a big grouper in one bite." He added, "We hooked one that must have been 18 feet long about 80 miles offshore. We got it alongside the boat and it scared me." Spaeth said the shark lingered near the boat for a minute or so, decided it had had enough and swam away, breaking 900-pound test line like it was kite string. 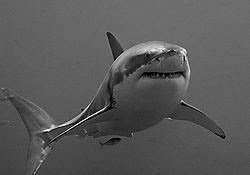 It is generally accepted that the great white shark can reach lengths approaching 20 feet and a weight of 4,000 pounds. Much larger sharks have been reported, however. The fact is no one really knows how large these awesome fish can get. What is not up for debate is that if you see one you will know exactly what it is. Anecdotal evidence suggests your chances of doing just that, seeing one, are increasing along the Gulf coast. As Bob Spaeth said after his 1994 encounter, "I think there are a lot more of them out there than people think." There is very little argument that bulls, tigers, makos, and hammerheads pose more of a threat to Texas swimmers than white sharks do. But there is also no arguing that when the word "shark" is spoken it is the great white most people picture in their minds. It is no longer just irrational fear to think big whites just might be patrolling the coastal areas of Texas, at least occasionally. They are there. I thought I would offer up my thoughts on the National Geographic Channel's special on bigfoot that aired last night. I have to tell you that I had absolutely no positive expectations as to how the subject would be treated. In the past, National Geographic has all but mocked those who believe it possible that a large, upright, and undiscovered primate may exist in the forests of North America. If you saw the bigfoot episode of their Is It Real? program you know exactly what I'm talking about. The program I viewed last night, thankfully, bore no resemblance to the debacle that was the Is It Real? episode. I thought the program took a very objective look at the subject, sought the opinion of experts in their fields, and went where the evidence led them. That is all anyone could ask. That is what science is supposed to do. I was a bit concerned right off the bat when the opening sequence centered around some engineers who were sent to digitally scan the Bluff Creek site where Roger Patterson and Bob Gimlin filmed an alleged sasquatch 40+ years ago. The idea was sound enough, I suppose. Get a 3D rendering of the sighting location, digitally insert a sasquatch walking the same path as the Patterson-Gimlin subject, and, hopefully, be able to draw some conclusions by comparing the figure to static points of reference. My concern was that after forty years the site could not possibly look the same as it did when Patterson filmed the creature. Therefore, conclusions reached using this data might be flawed. I still wonder if this could not be so. It turns out the conclusions reached by these engineers did nothing but strengthen the case for the Patterson-Gimlin subject being a living animal and not a man in a suit. Another sequence featured Bill Munns "upgrading" the Patterson film to hi-definition. He did this, much like Rick Noll did a few years back, by painstakingly photographing each individual frame of the film. Munns was working from a first generation copy of the film that had been in the possession of Roger Patterson's widow. His images produced one of the sharpest versions of the film yet seen. Clearly, massive muscles can be seen working just below the hair/fur of the subject. The muscles in the thigh, calf, traps, and even the achilles tendon could be seen clearly contracting and relaxing with each step the creature took. Limb proportions and "break points" like knee joints were also discussed. Munn's opinion, after studying the hi-res version of the film, is that the Patterson film subject was not a man in a suit but, instead, a live animal. As is typical with these programs, the producers saw fit to bring in an actor, in this case one that stands 7'0" tall, to attempt duplication of the compliant gate exhibited by the Patterson-Gimlin subject. The actor was reasonably successful in this attempt. However, he had difficulty maintaining the proper posture even on a nice flat floor. One aspect of the whole compliant gate issue that I have never seen brought up on any television show on the subject is the step interval of the creature. My friend, and fellow TBRC member, Alton Higgins did a great analysis and presentation on this a few years back. Alton pointed out that this was one of the few, if not only, times in history where video evidence was backed up by tracks. The footprints left behind by the creature in the sand of Bluff Creek were measured and cast by Roger Patterson, Bob Titmus, and others. These castings have been studied by experts the world over. However, the step intervals, the distance between each individual footprint, were measured as well. As I write this, I do not remember the length of the creature's stride exactly but know it was in excess of four feet. I would submit it is impossible for a man, even one 7'0" tall to mimic the compliant gait of the Patterson subject, while navigating through and around a debris strewn creek bed, AND continually maintaining a stride length in excess of four feet while wearing a bulky gorilla suit. Anyone who doubts this should try it. It is impossible for a man to maintain a stride that long without jogging/running. The Patterson subject is clearly not running. One foot remains on the ground at all times. In my eyes, the step interval length is the nail in the coffin of the "man in a suit" theory. Why this important detail has not been discussed in any of these programs remains a mystery to me. Now, on to that "man in a suit" theory. As has been done on other specials, the producers paid a visit to a special effects shop, in this case Jim Henson's Creature Shop, to see if an ape suit could be created to rival what is seen in the Patterson-Gimlin film. The state of special effects technology back in the late sixties was touched on as was the tired rumor that John Chambers, of Planet of the Apes fame, might have had something to do with the film. Basically, it was determined that the technology that existed at the time Patterson shot the film was not good enough to produce a suit so convincing and the "man in a suit" theory was all but tossed out as a possibility. There was more information presented including the fact that hairs have been found in North America that exhibit the properties of a primate but are neither human nor ape. It was also mentioned that DNA had been extracted from a few such samples that did not match any known animal. I could go on but, hopefully, you get the idea. I have to give National Geographic credit. This was by far the best program on the subject of sasquatch evidence I have seen, and I think I've seen just about all of them. The producers allowed the experts to follow the evidence wherever it led them and draw their own conclusions. National Geographic stopped short of coming out and saying that the evidence points to the sasquatch being a real live biological entity. They did, however, allow the featured experts, like Munns and Meldrum, to say it. This alone is a huge step in the right direction. Maybe, Henry Gee was right when he said, "Now, cryptozoology, the study of such fabulous creatures, can come in from the cold." P.S. - If you missed the program, it will air again on January 31. Check your local listings for times. It is well worth your time. London Daily Telegraph Article on "The Explorers' Club"
There is a nice article in the London Daily Telegraph about scientists who spend their lives in search of new and/or rare species. The article deals with mainstream scientists searching for everything from new species of opossum to insects as well as cryptozoologists looking into the animals of legend such as the sasquatch, yeti, and Loch Ness monster. Dr. Jeff Meldrum of Idaho State University is mentioned prominently. Surprisingly, the article does not make sport of the cryptozoologists. Kudos to Helena de Bertodano, the writer, for a nice job. It is a good read. You can access the article here. I just wanted to post a reminder that the National Geographic Channel is airing a new program on Bigfoot tonight at 7:00pm. The program features Dr. Jeff Meldrum and wildlife biologist John Mionczynski among others. I am very curious as to the tone of the show. National Geographic has taken a tongue in cheek attitude toward the subject in the past. I would invite your comments after watching the show. I will be curious to see if readers of this blog come away with the same impressions I do. The claims of Daniel Rainsong concerning his photographic evidence of a living Ivory-Billed woodpecker are beginning to look more and more dubious. As pointed out by a reader in the comments section of my original post regarding the alleged Ivory-Billed sighting, the leading ornithological experts mentioned in Rainsong's press release have yet to see the photographs of the bird. Van Remsen, curator of birds at Louisiana State University's Museum of Natural Science and adjunct professor of biological sciences at LSU, says Rainsong has visited him but produced no photos. "He would not show me his photographic evidence. He said he had to develop them." Van Remsen added, " I'll believe it when I see it." Another expert mentioned in Rainsong's press release says he has not seen the alleged photos. 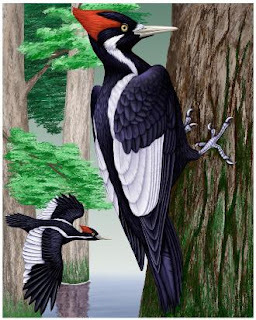 Jerry Jackson is the author of the 2007 Draft Recovery Plan for the Ivory-Billed woodpecker says he has never heard of Rainsong. "I look forward to seeing them but his approach has me wondering." he said. "This seems to be the standard 'IB obsession' approach, similar to the last report we got with photos, which were of a photoshopped Pileated." It is looking more and more like Mr. Rainsong's claims are dubious at best. Based on Rainsong's conversation with Van Remsen, he had not yet developed his photos. How could Rainsong have known he had definitive photographic evidence of a living Ivory-Billed woodpecker if he had not yet developed his film? I also find it a bit unusual that a film camera was used by a, supposedly, serious birder and researcher at all. Also, if Rainsong truly felt he had captured the Ivory-Billed woodpecker on film why in the world would he wait over a month to develop the photos? I suppose it is possible but the story gets more difficult to swallow with every hour that passes. Rainsong, it seems, posted a strange ad on Craig's List looking for a "research assistant" to help him capture Ivory-Bill evidence. In the ad, Rainsong references a $10,000 reward for producing said evidence. No such reward exists, to my knowledge. You can see a partial reconstruction of the Craig's List ad here. I really hope I'm wrong but I have pretty much given up on Rainsong's claims being true. There are just too many questions. I have not, however, given up on the idea that a remnant population of Ivory-Billed woodpeckers may yet survive in the bottom lands of this or other southern states. It will truly be a fantastic discovery when and if the Ivory-Billed woodpecker is re-discovered. It just seems that this is not that day. Some potentially fantastic news is being reported over at the Cryptomundo website by Loren Coleman. A gentleman named Daniel Rainsong is claiming to have multiple, clear, and definitive photographs of a living breathing Ivory-Billed woodpecker. The legendary bird was photographed in the Sabine River Basin in December of 2009 and again at a later date. If true, the Holy Grail of ornithology has been located. Read the Cryptomundo post here. The Ivory-Billed woodpecker once dominated old growth forests all over the south. It is a very large and striking woodpecker that has been dubbed the "Lord God Bird." The Ivory-Bill has been thought likely extinct since the mid 1900s. Periodically, reports of Ivory-Billed woodpeckers have trickled in from southern states. It seemed that most such reports turned out to be sightings of the similar looking, but smaller, Pileated woodpecker. The compelling sightings were never accompanied by photographic evidence. An expedition sponsored by Cornell University produced some interesting, but ultimately inconclusive, video of a woodpecker in flight that could have been an Ivory-Bill in 2004. The video was shot in the swamps of Arkansas but could not be duplicated. According to Loren Coleman, Mr. Rainsong is a man who is very familiar with the differences between the Pileated and Ivory-Billed woodpeckers. Sources seem to be very confident that Rainsong would not mistake a Pileated woodpecker for an Ivory-Bill. Coleman goes on to report that the photographs have been sequestered to protect Mr. Rainsong's right of claim to this rediscovery. After confirmation of Rainsong's photographs, they will be released to the public in conjuction with biologists from Louisiana State University, Florida Gulf Coast University, Iowa State University, and Cornell University. I really hope this turns out to be the real deal. It would be a true boon to the efforts to preserve potential Ivory-Billed habitats in southeast Texas and southwest Louisiana. 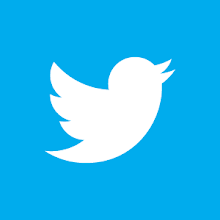 This might allow the "Lord God Bird" to re-establish itself in its former haunts. The protection of these areas could only benefit other species as well. A Giant Snake in Lake Travis? I was surfing and found your web-site. Nice one. Under 'Giant Snakes' you asked anyone with any info to contact you. From what I have read about your camera stories, you are here in Central Texas, so this story should be fairly easy to investigate. 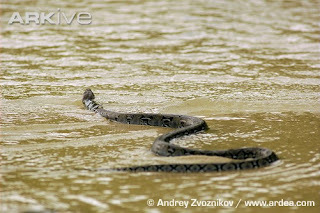 In 2003 I was fishing, (alone of course), on Lake Travis and saw a large snake crawl from one point of a cove to the other. Now I have been hunting for over 44 years and have been fishing much longer than that. I have seen beaver, nutria, deer, coyotes, bobcats, dogs, cats (yes, cats), goats, sheep, mules, horses....etc, ad nauseum, swimming in rivers and lakes before. This was a big snake. Head about the size of both my fists. It stopped several times, picked its head up from the water about a foot, and looked around. I guess it was worried about the boats on the lake racing by. Watched it crawl from one bank, starting in a few inches of water, and swim to the other, where it disappeared in a large tangle of tree roots and brush. Never saw it again. Told my neighbor and my fishing buddy but of course I just got the old, "Look who has been drinking too much." look and smile. Anyway, there's some info for you. You can contact me through e-mail, if you have any questions. Lake Travis lies on the Colorado River northwest of Austin in Travis and Burnet Counties. It encompasses 18,622 acres and has a maximum depth of 190 feet. Lake Travis is a pretty typical western impoundment as it is dominated by rocky banks, steep cliffs, and bluffs. There is very little hydrilla or other aquatic vegetation in the lake. The water is typically very clear. I believe a large snake could survive in and around this lake. Potential prey animals found in this area range from small mammals like mice, rats, rabbits, raccoons, armadillo, and opossum. The area also is home to a population of wild spanish goats that could easily find themselves on a large snake's menu. Small ranches dot the area as well making domestic animals vulnerable to a large snake such as a python or boa. Add to the mix the fish and small amphibians that inhabit the lake itself and you have a veritable buffet. I have sent a reply email to this reader trying to get some more detail. I would be curious as to the color pattern of the snake, the distance he actually watched it swim, and his best estimate on the length and girth of the snake. I have yet to hear back from the reader, however. I will say this is likely my fault as I have taken entirely too long to get back to him. Hopefully, he will reply soon and I can update this post with some additional detail. The possibility of a breeding population of giant exotic serpents in the swamps, lakes, and waterways of Texas is a frightening one. The state of Florida is already dealing with this issue. Many native species have no defense and are ill equipped to deal with a non-native apex predator. The ecological impact to native species in Texas, and through out the south, could be devastating. Reports of giant snakes have already started to trickle in from southeast Texas, which is home to many swamps, marshes, rivers, and slow moving bayous. All would be ideal habitats for snakes of all types. The report from this reader is not the first such story I have heard regarding giant snakes from central Texas. I have heard tales, on more than one occasion, of a large snake that has been sighted in and around the 906-acre Lake Bastrop. Lake Bastrop lies roughly 35 miles southeast of Austin. What makes the tales of a giant snake inhabiting this body of water so interesting is the fact that Lake Bastrop is a cooling lake for the Lower Colorado River Authority's Sim Gideon Power Plant. It would seem a cold blooded animal, like a snake, would find the perennially warm waters of a power plant lake pretty inviting. I would very much like to hear from readers regarding encounters with large snakes in the Lone Star State. You can contact me via the 'comments' section below this post or email me directly at Texascryptidhunter@yahoo.com. Recently, I posted a short video clip from National Geographic featuring Dr. Jeff Meldrum. The clip seemed to be a snippet from a longer program, which I was not familiar with. It turns out the clip comes from an upcoming National Geographic special entitled, simply enough, Bigfoot. I was pleased to learn the special will also include wildlife biologist John Mionczynski. 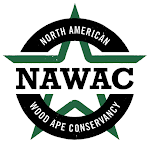 I heard Mionczynski speak last year at the TBRC sponsored Bigfoot Conference in Tyler, Texas. This guy is the real deal. 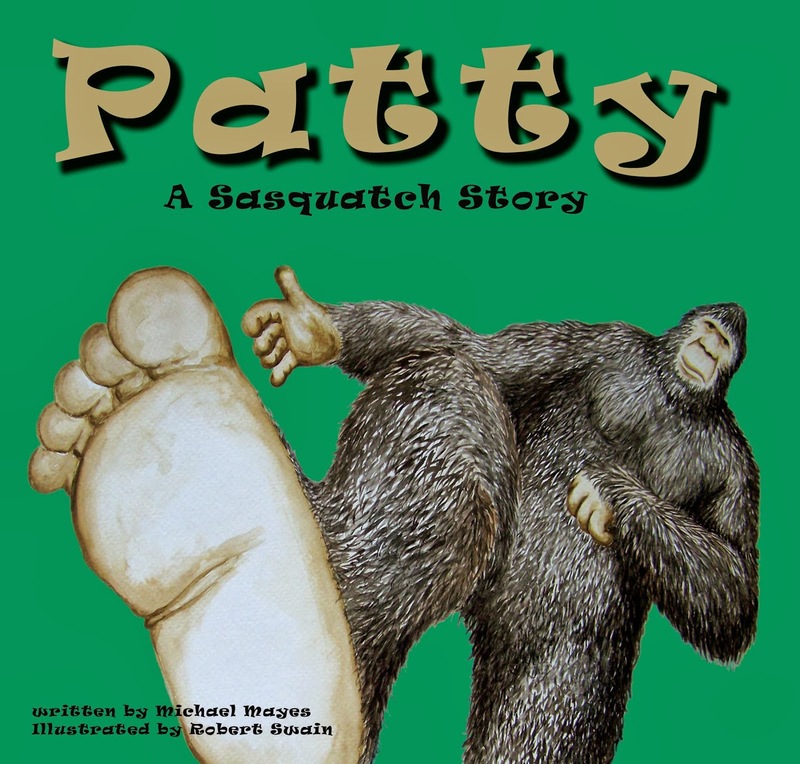 He put forth a lot of fascinating ideas regarding what it would take to sustain a population of sasquatches in North America, the sort of diet the species might have, and the advantages the tremendous size of the sasquatch, as reported by witnesses, might give the species in their fight for survival. Mionczynski also had one of the most fascinating encounters with, what he feels, could only be a sasquatch that I have heard. His encounter was featured in the History Channel special Giganto: The Real King Kong. The National Geographic special will air on Sunday January 24th at 7:00pm. You can check out some of the details about the special here. You can watch another short video taken from the special, and different from the one I originally posted, here. I look forward to seeing how National Geographic handles the subject matter. Historically, they have not treated the subject in an open-minded manner. I hope they do a better job this time. It looks like the mysterious figure seen "stalking" caribou in the documentary The Great North is not a sasquatch after all. I came across a post on the BFRO website which seems to show very clearly that the figure in the video is a human. A gentleman named Wally Hersom obtained a Blu-Ray copy of the documentary and watched it on a very large high definition television. Mr. Hersom was able to zoom in and slow down the footage considerably. The results were startlingly clear. You can view the hi-def, zoomed in, and slowed down clip below. The figure is clearly a human wearing dark/camouflage clothing. It appears he is wearing a backpack of some kind. This backpack helped give the human, which I assume to be a member of the video crew, a thicker and bulkier appearance when viewed at a lower resolution. The result is disappointing to be sure. I applaud the efforts of Mr. Hersom to get to the truth of just what was seen in this footage. While it is a bit of a let down to see the figure in The Great North footage is a human, I feel we can take some valuable things from the whole incident. It seems obvious that video technology has advanced to the point where fraudulent footage is going to be more easily debunked. The market place has been flooded with hi-def digital camcorders. Even these small and affordable units produce wonderfully clear images. The ability to expose hoaxes is only part of the equation, however. If, and when, footage of an actual sasquatch is obtained it should be much easier to rule out a hoax of some sort due to the high resolution of the images. I believe it is only a matter of time until this scenario plays out. So, I choose to take heart from this whole incident. We don't have to wonder for years if that was or was not a sasquatch seen in The Great North footage. There will be no wondering what would have happened if only the videographer had realized what was in his shot and zoomed in on the figure. This is good. After all, it is the truth we are after. Now we know what that truth is regarding this footage and can all move on. I came across an interesting article that originally appeared in the Beaumont Enterprise back on November 30, 2009 regarding the resurgence of cougars in east Texas. You can read the original article here. The story centers on the encounter of Newton County resident Gwen Canty. According to the article, Canty, "With nothing more than a rake, her arms, and loud screams beat into submission a cougar that had reached through a pen to claw flesh and rip tendons from her new 8-month old filly, Mo." Canty, who lives near the tiny community of Bleakwood, managed to save her young horse, and its leg, by getting it to a Jasper veterinarian quickly. Canty said she had heard stories of cougars roaming the woods near her home but always considered them to be legends. No longer. Mo is home again but Canty now arms herself whenever she is outside. "I have a 9 mm pistol on my hip now," said Canty, "It's stuck to me like glue." Gwen Canty's encounter is more spectacular than most but it illustrates what is going on with the lion population of East Texas. First, it must be conceded that there is a population of these big cats in the region. The second thing that must be realized is that this population is growing. The article quotes John Young, a wildlife biologist with the Texas Parks & Wildlife Department, as saying, "Historically, cougars have been found across Texas but are most common in the western and southern portions of the state." A pretty typical statement from the Texas Parks & Wildlife to be sure. However, Young went on to add, "We speculate there may be a few cats scattered around the eastern part of the state." That is a huge admission. For once, a representative of the TP&W did not fall back on the "It was an escaped pet" theory. Young also said, "The department's estimate is there are about 1500 cougars statewide based on habitat modeling studies." Mr. Young is correct in that the majority of these big cats are going to be located in the far western or southernmost parts of Texas. However, cougars are far-ranging cats that can cover hundreds of miles. To acknowledge the populations of west and south Texas yet say a breeding population in any other part of the state is not possible is ludicrous. Kudos to Mr. Young for being reasonable, logical, and, most importantly, forthright. Could a cougar be on the prowl in Minneapolis? After a handful of sightings in the suburbs, a "big cat'' was spotted crossing a road in northeast Minneapolis. On Monday morning, a man went to the 2nd Precinct headquarters to report he saw a big cat crossing the road in northeast Minneapolis. It comes on the heels of ones in Prior Lake, Eagan, Champlin, Vadnais Heights, Stillwater and western Wisconsin. "We've had plenty of sightings out in the suburbs, but this appears to be one of first times that one has come into the city limits," said Sgt. Jesse Garcia, a police spokesman. The report prompted a call to the Department of Natural Resources. Norm Mosher was driving home from work at Target Printing about 8:20 a.m. when he saw what first appeared to be a dog near the Mississippi River at St. Anthony Parkway and NE. Marshall Street. "They got a pathway for pedestrians there, so it's got to be someone out walking their dog," said Mosher, 56. But he kept looking for the person and never saw anyone. And then he noticed the way the animal was walking and its fat tail, and he didn't think it could be a dog. • No marks or claws or toenails were in the tracks. Dogs have their nails sticking out. • It appeared the animal was dragging its tail in the snow, and dogs don't do that. • Some of the tracks went down an embankment, and it appeared the animal jumped 8 feet. "I don't think a lab could have jumped quite that far, so to me it makes sense." Garcia urged anyone who sees a cougar to call police or the DNR. "We want people to be cautious,'' he said. "Cougars are wild animals, and they can act spontaneously." Though this article is discussing an area far from Texas, it makes the point that more and more big cats are being seen in urban environments. Cougars are making their way back into east and central Texas. Be vigilant and keep those cameras handy. You might get the shot of a lifetime...even if you live in the suburbs. Here is a link to a nice article by Chester Moore Jr. of the Port Arthur News. In the article Moore mentions several rare and elusive species such as the margay, long-tailed weasel, grizzly bear, and manatee. Moore doesn't mention anything about cryptids but I have to believe he would have liked to. 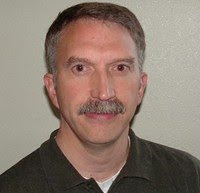 Moore is the author of several books about bigfoot inlcuding Bigfoot Lives: Deal With It and has appeared on several bigfoot themed television shows such as Animal Planets' Animal X program. 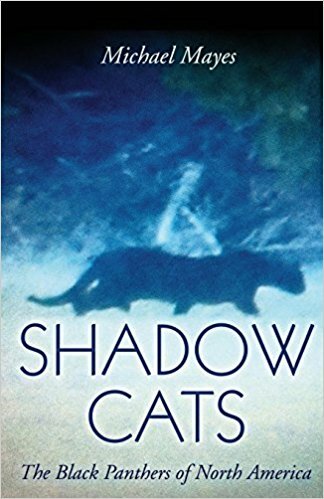 He has also delved into the black panther mystery and believes the jaguarundi is a likely candidate for at least some of the sightings of these large black/dark cats. He is an interesting guy. Check out his article. Below is a short video featuring Dr. Jeffrey Meldrum. If you pay any attention to the sasquatch mystery at all, Dr. Meldrum is no stranger to you. He is generally regarded as one of the two or three leading experts on the sasquatch. His book, Sasquatch: Legend Meets Science is a must read for anyone interested in the bigfoot phenomenon. Dr. Meldrum's academic credentials are impeccable. He is an associate professor of anatomy and anthropology at Idaho State University and a research assistant of the Idaho Museum of Natural History. He holds a B.S. and an M.S. in zoology from Brigham Young University, specializing in vertebrate locomotion, and a Ph.D. in anatomical sciences, with an emphasis on physical anthropology, from SUNY Stony Brook in 1989. His research centers on vertebrate evolutionary morphology, with an emphasis on human bipedalism. Dr. Meldrum became actively involved in sasquatch research after examining fresh tracks in southeastern Washington's Blue Mountains in 1996. All of that to say the guy knows feet and footprints. The video is short, only about five minutes long, and was produced by National Geographic.I do not know for sure if it is a snippet from a longer program. This would seem to make sense but I have yet to hear about a new sasquatch themed National Geographic project/program. If so, let's all hope the subject is taken a bit more seriously than in their infamous Is It Real? program which was a complete joke. From what I see in this clip, if it is part of a longer program, I am encouraged. While there is the typical spooky music and dramatic narration, the subject is treated respectfully. The two topics that are touched on, albeit briefly, are the morphology of the sasquatch foot, as reconstructed by Dr. Meldrum using his extensive track casting collection and the perennial question as to why no bones/remains of a sasquatch have ever been located. Obviously, with the clip being so short, it offers only a brief overview of why Dr. Meldrum believes the sasquatch to be a living and breathing species. It is educational nonetheless. On a personal note, I had the privilege of meeting Dr. Meldrum a couple of years ago in San Antonio, Texas. At the time, the Institute of Texan Cultures, working closely with the TBRC, was featuring an exhibit on bigfoot and the possibility that it could be living in the Lone Star State. The exhibit ran for about a month, if I remember correctly, and featured some impressive speakers on each Saturday of its run. Speakers included Rick Noll, Loren Coleman, Daryl Colyer, Alton Higgins, Jimmy Chilcutt, and Dr. Jeffrey Meldrum, among others. I, and a small group of TBRC members, was able to spend several hours in conversation with Dr. Meldrum the evening after he spoke. He is a very nice and polite man who patiently endured many questions, most he had undoubtedly answered many times before, from me. He is extremely intelligent and thoughtful in everything he says. There is an interesting bit of footage making the rounds on the internet showing a dark figure, seemingly, stalking a herd of caribou as they cross a shallow body of water. The footage is part of an IMAX documentary called The Great North. The film was allegedly shot from a great distance using a powerful telescopic lens in Labrador. 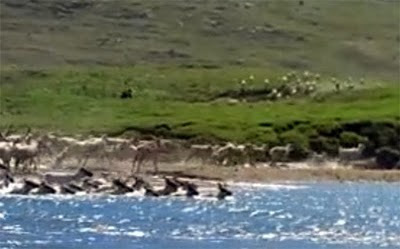 A large herd of caribou are seen crossing a shallow stream or river when a dark and upright creature appears. The figure rises up from the opposite side of a small rise in the terrain and moves quickly to the right as if pacing/stalking the herd. The figure is visible only for a few seconds before it squats back down behind the rise. I'm not sure but it looks to me like the dark figure may pop up again very briefly before disappearing for good. No mention of the figure is made in the narration of the scene. You can access the entire documentary below (embedded from Hulu). The clip in question begins at only about the 9:00 mark of the film. You will have to endure a 30 second commercial before viewing the footage. The clip below is embedded from YouTube and shows a slowed down and zoomed in version of the clip. Usually, I don't post "blobsquatch" photos or footage. For example, the recent trailcam photo taken in Minnesota showing what is clearly a man in some sort of camo suit or costume got zero attention on this blog. This piece of footage is more intriguing, however. The figure is clearly, to me at least, some sort of upright figure. It does appear to have some bulk to it as compared to the bounding caribou in the vicinity. The figure seems to be a uniformly dark color. If you look at the caribou the sun light reflects off their backs making for a glossy and shiny effect. The light does not seem to reflect much at all off this dark figure. No glossy coat here. Whether this makes it more or less likely to be a real animal would depend on the position of the sun, I suppose. The distance from which the footage was obtained would seem to make the figure impossible to identify. Likewise, the figure appears so tiny that zooming in too close would likely cause the figure to blur into a pixellated mess. The key here is that this particular piece of footage was shot using IMAX technology. It would seem to be a safe assumption that the zoomed in footage on YouTube is not the original IMAX footage. If ever it were possible to zoom in and analyze a piece of footage to see if enough detail were present to positively identify a subject as human, or something else, it would seem to be now. It is possible that this figure is nothing more than a photographer in camo trying to obtain footage or still shots of the caribou herd from a different angle than the long shot. The footage is, according to everything I've read, about ten years old. It would probably not be too hard to go back, find the people involved in the shoot, and see if they recall their locations for this particular scene. If it can be shown that no member of the documentary team was in that particular location we might have something. In the meantime, the high definition IMAX footage should be analyzed. Maybe, just maybe, enough detail could be gleaned to positively identify the figure as human. It is also possible that details could surface clearly showing the figure is not a human. In that case, we might have something powerful indeed. As it stands, The Great North footage is just one more compelling piece of video. It proves nothing one way or the other at this point. It is interesting, however. I hope it is analyzed soon. Below is a well known quote from Henry Gee made in a 2004 issue of Nature. - Henry Gee, editor, “Flores, God and Cryptozoology” Nature (October 27, 2004). While I see a gradual softening in some mainstream scientists' attitudes toward the possibile existence of the sasquatch, it is a slow process. Here's to hoping a discovery is made soon that will speed that process up a bit. Below are a couple of photos of bow fishermen with a monstrous alligator gar. These pictures, for those interested in such things, are probably familiar as they have been circulating around the internet for years. What may not be known to most is the true story behind the photos. First, the photos are real. That is a real fish taken using archery tackle. What is not factual is the information regarding where the fish was caught and its actual weight. According to the story circulating on the internet, and a caption on one of the photos, the huge gar was caught in Oklahoma's Broken Bow Lake and weighed in at a gargantuan 327 lbs. The story gets even better. The usual email includes a theory that giant gar, like the one in the photos, could be responsible for the disappearance of swimmers in several Oklahoma lakes. It's a great story. The only problem is that none of it is true. The gar, while truly a giant, was taken from the Sam Rayburn Reservoir in East Texas by Keith Riehn and Robin Parks in 2005. According to several sources the gar measured 8' 2" in length and weighed in at 244.5 lbs. The Dallas Morning News confirmed the origin and circumstances behind the catch in a 2005 article. 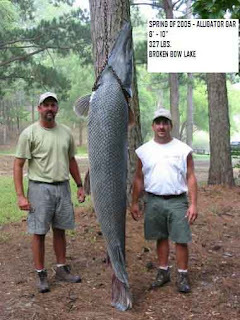 In part, the article reads, "Using tackle that would suit Luke Skywalker, two Missouri archers won a tag-team version of gar wars at Sam Rayburn Lake, bagging a gigantic alligator gar that weighed 244.5 lbs. It is the pending Bowfishing Association of America world record. Curiously, the last line of the article reads, "The giant fish is not, however, largest of its species taken with bow and arrow in Texas." 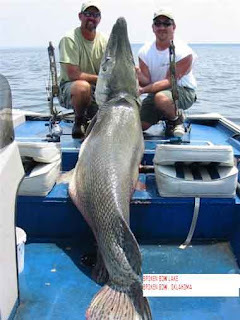 Why this other, apparently larger, gar is not recognized as a bowfishing record is not clear. At the time this article was written, the heaviest gar ever taken in Oklahoma weighed a "mere" 184 lbs. The fish was taken by Sean Chatham on the Okie side of the Red River. The assertion in the email that huge gar could be responsible for disappearing swimmers in Oklahoma lakes is interesting to ponder but baseless. While gar are huge and fierce looking they don't seem to see people as prey. Periodically, stories will circulate about a gar that bites the foot of a person who had their legs dangling in the water from a pier or boat. This has happened but mistaken identity seems a more logical explanation. Most wounds are inflicted upon fishermen as they try to haul a big gar into their boat. Gar have large mouths full of razor sharp teeth and they thrash around quite a bit when boated. The closest thing to a gar attack I've heard of didn't actually include a gar at all. MonsterQuest did a show about giant fish that included a feature on giant muskie. It seems a very large muskie did, in fact, attack a person who was wading in shallow water in a northern lake. I've not heard of any similar stories regarding gar in Texas. Why hoaxers would want to falsely credit another region and lake for this catch is a mystery. What is for sure is that the gar in these photos was taken in the Lone Star State. This shouldn't be a surprise. After all, everything is bigger in Texas. Oh, except for gar. It seems the largest gar on record, weighing in at an astounding 350 lbs., was caught in the Saint Francis River of...Arkansas. Let's just keep that between us, ok? Below is an article that was published in the now defunct Houston Daily Post in August of 1901. Strange Adventure that Befell Commissioner Bucher in San Jacino Bottom. to almost block their passage, they came face to face with a wild man. at the hunters as if intent on disputing their right to the wilds. these the strange creature was attired in a breech clout of leaves. The description of the wild man obviously matches up well with modern descriptions of the sasquatch. The area from which this account originates is one that has a rich history of sasquatch sightings and one from which reports still come today. The story is just one of many accounts that dispute the theory that bigfoot was "born" in the summer of 1958 when Jerry Crew found large footprints on his worksite near Bluff Creek, California. The fact of the matter is that there are many pre-1958 news accounts that describe "gorillas", "wild men", "monkey men", or hair-covered "giants". Some of these reports go back to the earliest days of colonial America. Chad Arment wrote a wonderful book entitled The Historical Bigfoot that documents sightings of creatures matching the classic description of the sasquatch from the early 1800s up to the 1940s. I highly recommend it. Getting back to this particular article, I was interested in the "devilish smile of defiance" exhibited by the wild man. The great apes are known to make a wide range of facial expressions including smiling. We have all probably seen a chimpanzee or orangutan on television smiling on cue as part of an act of some kind. What may be less well known is that this "smiling" behavior is seen in wild apes as well. The expression is not due to happiness, however, but is a sign of agitation or anxiety. 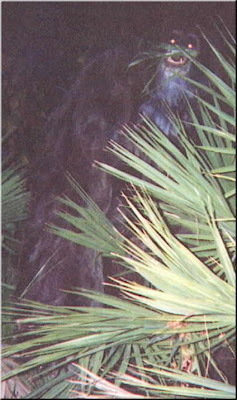 The well-known pictures of an orangutan-like creature taken in Florida in 2000, dubbed the Myakka ape photos, seem to show this anxious smile-like expression. Smiling sasquatches have been reported but, as with reports of swimming, fishing, tool use, and rock throwing, the claims were deemed too fantastic to possibly be true. We now know the great apes do make a facial expression similar to smiling when anxious or agitated. Knowing this, reports of smiling sasquatches no longer seem quite so far-fetched. This 109 year old account is certainly interesting. The reference to a "devilish smile" is exactly the small sort of observation that can take a reported sighting from the "somewhat interesting" to the "truly compelling". Any sort of observation that fits known great ape behavior, yet is not generally common knowledge to most of the public, lends credence to a sighting report in my eyes. This detail in this old newspaper account certainly fits that bill. My thanks to Craig Woolheater for sending me this article. Black bears are continuing to make a comeback in parts of the Lone Star State where they haven't been seen in decades. While their numbers remain relatively low, if reported sightings are any indication, the Texas bear population is increasing. With healthy populations of black bear in Arkansas, Oklahoma, and Louisiana it was only a matter of time before they started to show up on a regular basis in East Texas. Most biologists feel that many of the bears being seen in Texas are young males seeking their own territories though at least one sow with cubs has been spotted. Reported sightings in East Texas have increased gradually over the years. Only 5 bear sightings were reported in the 1980s. That number increased to 34 in the 1990s. There have been 49 sightings since 2000. According to Texas Parks & Wildlife Biologist Rickey Maxey, there have been 14 sightings in the last year alone. There are actually two sub-species of black bear found in the state. The American black bear has actually been fairly well established in the Big Bend area for years. I believe at least some of the bears crossing into Texas from Oklahoma are American black bears. The second sub-species of black bear living in Texas is the Louisiana black bear. This is the culprit most people are beginning to see in far East Texas. To the casual observer it would be difficult, if not impossible, to distinguish one sub-species from the other. This is important because the Louisiana black bear is officially listed on the federal threatened species list and is the focus of a restoration effort in Arkansas, Oklahoma, and Louisiana. 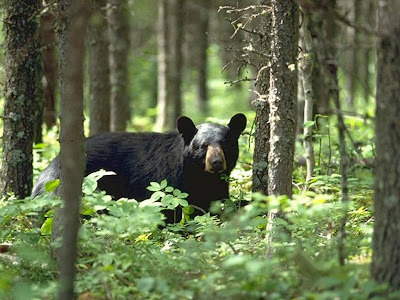 While campers, hikers, and fishermen need to be made aware of the renaissance of the black bear it is hunters that need to be especially careful. From a distance a black bear could be mistaken for a large hog fairly easily. The consequences for killing a Louisiana black bear are serious. The Texas Parks & Wildlife Department's chief game warden, Col. Peter Florez said, in a Dallas Morning News article, "Someone doesn't even want to think about shooting one of these bears. Shooting a Louisiana black bear is a state and federal crime as the sub-species is under the auspices of the Endangered Species Act. Fines could be as high as $25,000 and the perpetrator could also receive up to six months in jail." Florez also said, "Those penalties go beyond what a poacher would normally get for spotlighting deer or a similar act. All poaching is serious but poaching a bear in Texas is especially serious." Bears have been seen in Angelina, Bowie, Cass, Cherokee, Franklin, Grayson, Hardin, Jasper, Jefferson, Lamar, Marion, Montgomery, Morris, Newton, Orange, Panola, Polk, Red River, Rusk, Sabine, San Augustine, Shelby, and Wood Counties since 2000. If you hunt in these counties be aware that bears could be present. Violent encounters with black bears are rare even where they exist in large numbers. Black bears have thrived, while their grizzly cousins have struggled, largely because they have learned that discretion is, more often than not, the better part of valor. In other words, they tend to run away or climb a tree at the first hint of trouble. If you encounter a black bear you should not run away. Running triggers any predator's instinct to chase and you are instantly viewed as prey. Instead, try to back away slowly. Avoid making eye contact as this could be construed as a challenge. If the bear advances, stand your ground and yell. Raise your arms above your head and wave them to make yourself appear larger than you are. While easier said than done, these measures are usually enough to convince a black bear to back down and retreat. If the bear does continue to advance it is bad news and you must be ready to fight aggressively for your life. You should not play dead. Do anything and everything you can to show the bear you are not easy prey. Having said all that I don't think the outdoorsmen of Texas have too much to worry about as long as they are aware bears could be present and take appropriate precautions. Simple things like keeping campsites clean, storing food and trash away from tents, discarding processed deer and other game far from campsites, and never ever feeding bears will go a long way in making sure you don't end up with an uninvited bruin in camp. I have heard it said that black bears are basically 200-300 hundred pound raccoons. If you do everything you would normally do to discourage nighttime raccoon visitations that should be enough to keep bears out of your camp as well. Personally, I feel the return of the black bear to East Texas is a good thing. Most Texas landowners seem to feel the same way. The destruction of suitable habitat in East Texas pretty much ensures that the black bear population will never be what it once was in the region. However, enough suitable habitat remains to support a breeding population of black bears. The bear is part of our natural heritage. They belong here. It is as simple as that. Below is a quote from the great composer Ludwig van Beethoven. I think it applies well to those of us who seek undocumented or seemingly out of place animals. I think it also makes for a pretty good philosophy on life in general. "Let us all do what is right, strive with all our might toward the unattainable, develop as fully as we can the gifts God has given us, and never stop learning."